I told Husband that we were going to eat healthy every night this week… and then I made this for dinner?! Umm not so healthy…but oh so delicious! I stumbled upon this recipe a few days ago and I haven’t been able to stop thinking about it. So so glad I made it. This pasta dish really turned out great. 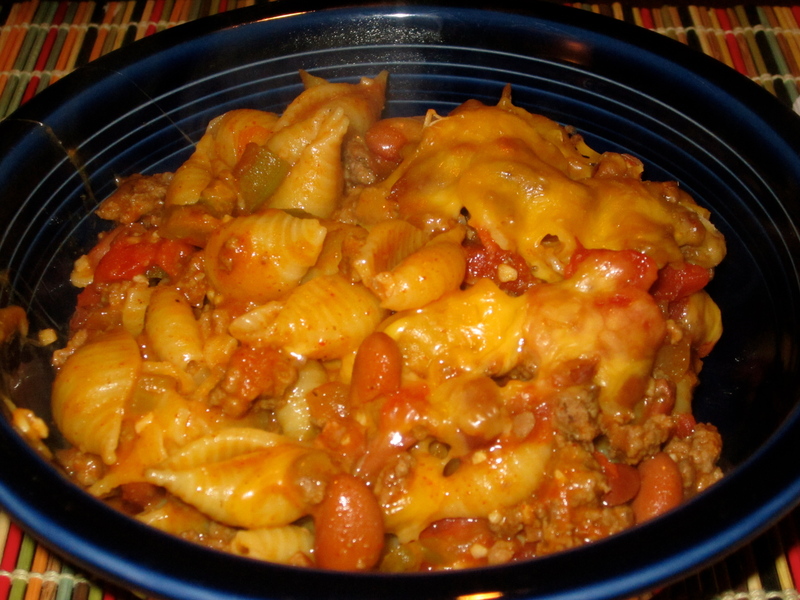 I mean it had all of our favorite things in it: chili + cheese + pasta = delicious comfort food. 2. Cook 1/2 pound of elbow macaroni; be sure to add 1 tablespoon of salt and 1 tablespoon olive oil to the boiling water. Cook al dente. Once pasta is cooked, save 1/2 cup of the pasta water on the side and drain the remaining water. Transfer pasta to a large bowl and set aside. 3. Using the same large pot, wipe dry and heat over medium heat. Heat 1 tablespoon of olive oil Add ground beef. Once browned and fully cooked, remove from heat and drain any excess fat. Set beef aside. 4. In empty large pot, add 1 tablespoon oil and return to medium heat. Add onions, garlic, green pepper, chili powder, cumin, and red pepper; cook, stirring occasionally, until vegetables are softened and begin to brown. 5. 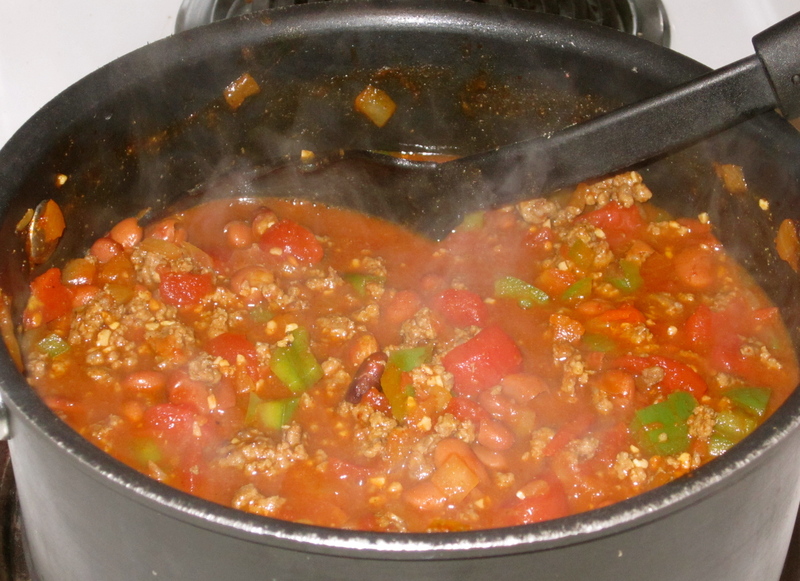 Add crushed tomatoes, diced tomatoes, chili beans, brown sugar, reserved 1/2 cup pasta water and beef to the pot. Bring to a simmer and cook for 15 minutes, stirring occasionally until flavors have blended. 6. Stir in the cooked pasta, 1/2 cup of shredded cheese and season with salt and pepper to taste. Transfer mixture to a 9×13 baking dish and smooth over with a spatula. 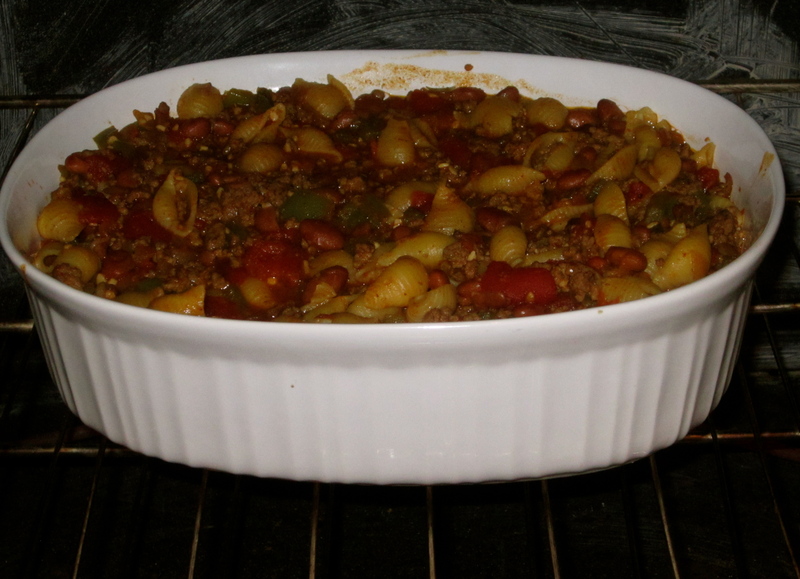 Cover and bake in the preheated oven for 20-25 minutes or until the mixture is hot and bubbling. 7. Remove from oven and sprinkle the top of the dish with the remaining shredded cheese. Put dish back in oven for 5-10 minutes until the cheese melts and begins to brown. Cool for 10 minutes before serving. Epitome of comfort food! This does sound fantastic. I definitely do the same thing–plan on eating/cooking healthy during the week, but find myself doing the complete opposite, haha. There are times when I say I want to eat healthy and I make a healthy dish. And then there are times I think my taste buds get the better of me and I think I’m going to make a healthy dish and I don’t lol. 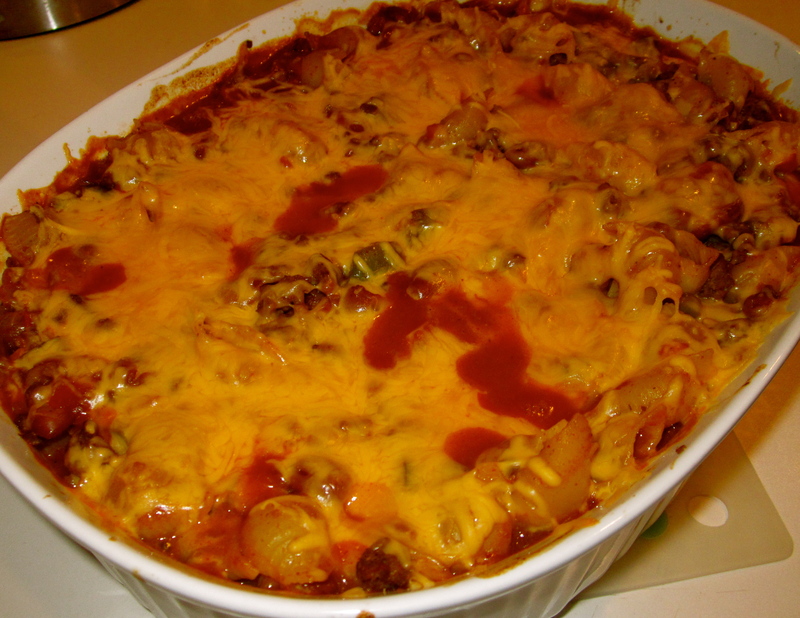 This chili cheese macaroni meal looks amazing and so darn comforting.